With proper attic insulation, you can increase the energy-efficiency of your home while reducing your carbon footprint. Out fully trained team can install insulation quickly and affordably so you can save money on your heating costs and energy bills. Whether you are looking to have your attic cleaned because you are preparing to insulate it or for any other reason, we can be of help. Our friendly team will assess your particular requirements when performing an attic inspection and solve any issue, including infestations. We can also deal with the removal of existent insulation and prepare the area for your new installation. By air sealing your attic, you can easily reduce heat loss and save money on your bills. Moreover, this could solve other problems you might experience in your home, such as an uneven temperature between rooms or drafty rooms. We have the expertise and equipment to air seal your attic in no time so you can stop those heat leaks and start saving money. 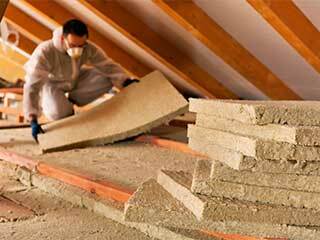 If you have decided to install insulation for your attic, look no further than our company. Our knowledgeable team will provide you with a fast, personalized quote after a thorough inspection. We have the resources and knowledge to complete any insulation project, small or large, in both residential and commercial buildings. We use high-quality fiberglass and foam so that you can enjoy your insulated attic for the years to come. Moreover, we also offer a replacement service for existent insulation. This is one of the simplest ways to boost the EPC rating of your home, so don't delay your installation. Call Attic Cleaning San Jose, CA today for a dependable service that you can only get from an established local team!